In part two of our look at using Chinese medicine safely, we take a peek at five more considerations we should make when taking herbal medicine. — Incorrect combinations. Speaking of herbal formulas, mixing a few ingredients that are incompatible will also raise the risk of adverse effects. These incompatibilities are well known within the TCM community, and are referred to as “forbidden” combinations. What they do is raise the toxic element of the other ingredient to risky levels. Chinese medicinals even react harshly with mainstream drugs, so anything you are taking should be disclosed to the practitioner. A herbal combination needs to contain all compatible ingredients, and asking the practitioner if they all work toward the same goal in a safe manner is not an odd thing to ask. Just to be safe. — Taking a dose for too long. If you take a course of Chinese medicine for a longer-than-needed timeframe, you will undoubtedly put yourself at risk for adverse effects. Even if the medicine is effective and correct, this could still happen. Prolonged exposure may put some of your organs in jeopardy of damage, most notably your liver and kidneys. In most cases, you’d have to take the dose for considerably longer than recommended. — Wrong decoction. A “decoction” simply means a substance boiled in water. The result: you drink the medicine instead of swallowing it in pill form. Herbs have individual decoction needs; in other words, some need to be boiled for a certain amount of time, and others a different amount of time. Incorrect decoction could strip the herb of its medicinal effect in the same way as boiling a head of broccoli for 20 minutes will leach many nutrients into the water. On the other hand, it a herb isn’t decocted long enough, it might not get rid of all the toxic elements. In turn, they remain in the drink and can trigger side effects. — Medicine isn’t processed right. As with decoction, incorrect processing of medicinals can cause adverse events. The purpose of processing is to reduce negative parts of a medicine or enhance its medicinal effects. For some herbs, the question of whether to use the uncooked kind or the processed kind can be truly important. On this point, a good practitioner will be well aware of these differences that can spark symptoms you don’t want. — You are different than the next person. A Chinese herb may need to be taken at a lower dose by one person and at a higher dose one by another. Differences in gender, age, body weight, and other factors mean that some patients are sensitive to ingredients within these medicinals, and others are less sensitive. For older adults, liver and kidney function has slowed, and this means the effects of any Chinese herb (or any medicine, for that matter) will be stronger and more easily cause adverse effects if taken at too high a dose or for too long a period of time. You should know that no medicine, natural or not, is perfectly safe. There is always the possibility that side effects will loom. 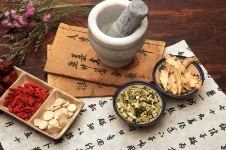 In Chinese medicine, treatments are safe if they are prescribed correctly, if you have diagnosed accurately, and if the dose is processed right and administered for the right amount of time.